The Written Word(s): Meet Diana Arellano! The time has come to kick off my Geeks Rule The World Project! :) It is time to meet amazing iggles and great geeks from all over the world. 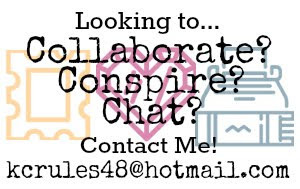 To kick things off, I thought it would only be fair to feature an iggle that is one of the first people I really got to know from the IGGPPC, and that would be my very first and longest standing pen pal, Diana Arellano! 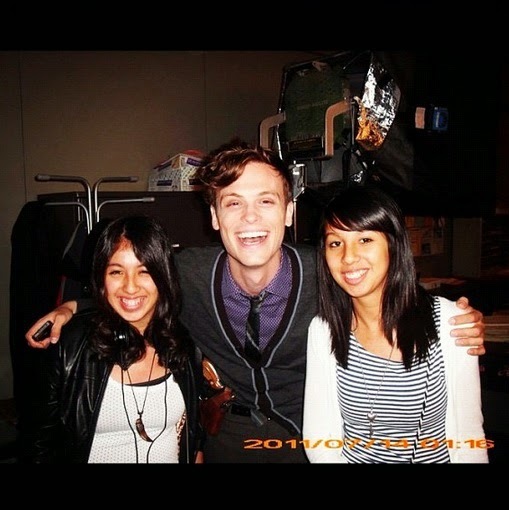 She's an amazing girl from Los Angeles, California, and we've been pen pals since Spring 2013. Ready to get to know Diana? Here we go! 17 Aug 2012: "One of the best days of my life in the last year." TWW(s): So Diana, first thing's first: As of this moment, what are your Top 5 Geek Loves? Diana: My top 5 geek loves right now, that is always a difficult question to answer. Doctor Who is definitely one of them! And Frankenstein MD, loving that web series. The anime Free! is most definitely there. Once Upon A Time, I'm not sure if it counts, but I've been waiting all summer for it to come back. The Legend of Zelda, I've been playing A Link Between Worlds on me 3DS and I'm loving it! TWW(s): When did you join the IGGPPC, and how did you originally hear about it? Diana: I first heard about the IGGPPC from Kristina Horner on YouTube. She mentioned the IGGPPC in one of her videos, so I decided to check it out. If I ever meet her I will definitely thank her for leading me there. TWW(s): If you could travel anywhere, real or fictional, where would you go? A foreign country? The world of your favorite novel? Sky's the limit! Diana: That is a difficult question. My favorite books are the Harry Potter books so it would be the Wizarding World. J.K. Rowling created such a detailed and beautiful world it feels like I already know it! Here in this world we happen to be living in, I think I would travel to New York. I've always been fascinated with the idea of New York! TWW(s): What does a typical day in your life look like? What do you do? Where do you go? Diana: A typical day in my life around this time of year mostly consists of school and hopefully an internship at some point. I am a psychology student, so I spend a lot of time reading studies, reading about ethics, and looking at SPSS. As of now I spend a lot of time on the train, being as that is how I get to and from school. When I need a quiet place to do my homework I go to the central library in downtown LA. It's a huge book haven! I get all of my work done there. Tumblr and YouTube take a lof of my time or better yet I let them, procrastination is always there. 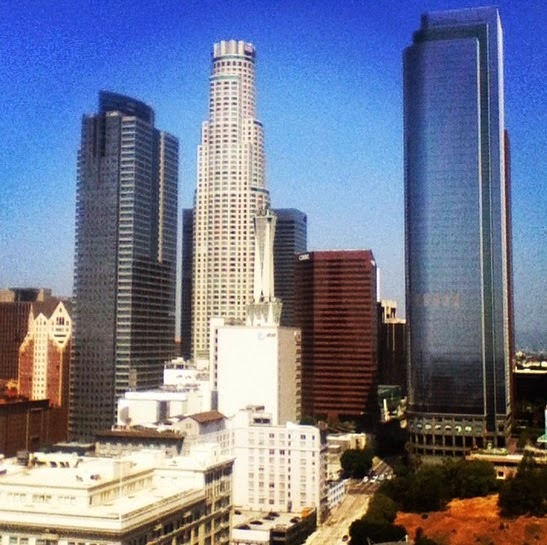 9 July 2014: "The rooftop view at my internship is very pretty :) good old downtown LA!!!!" TWW(s): You mentioned that you are a psychology student. What do you intend to do with your degree once you're completely done with school? Diana: To be honest I'm not sure what I'm going to do with my psychology degree. I really want to do some sort of experimental psychology: cognitive, social, maybe neuro. I'm not sure which one yet, but since graduation is not that far off I should probably decide and see which one I'm good at. Then I need to begin applying for grad school. You can't do much with only a bachelors in psychology. My goal is to earn a PhD! Diana: My favorite sight, as cliche as this may sound, are the stars. I live right next to Downtown LA, so I don't get to see many. When I do it makes me feel very happy to see such a beautiful sight against the dark sky. My favorite sound is the sound of waves. I don't go to the beach often, even though I live really close to it. When I do I love to sit there listening to the water hit the shore. It's calming and nice. My favorite smell is the smell of fresh linen. There is just something so comforting about it. TWW(s): What is one of your all time favorite quotes? Diana: My favorite quote is . . . hmm, another difficult question to answer, even with how many quotes I've scribbled onto my notebooks or tweeted on Twitter. "This too shall pass" - I'm not sure where it comes from, a Jewish folklore about King Solomon I think. It's calming, comforting, and humbling. Remembering that even when things get really bad, eventually it'll be in the past and vise versa things won't always be good. It makes you appreciate life when things are good, and look forward when things are bad. 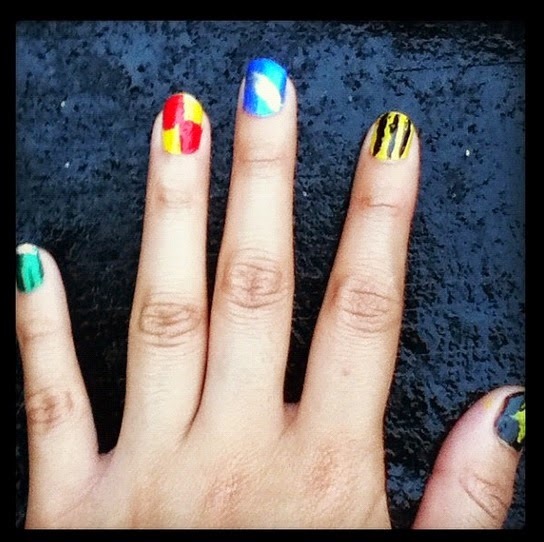 28 November 2012: "My HARRY POTTER inspired nail colors :) done by some weirdo @gensrevolution on the train xD I'm only kidding gen :)"
Diana: I am currently reading Miss Peregrine's Home For Peculiar Children by Ransom Riggs. It's a very interesting book. I heard there's a second book and after I'm done reading this one I'll definitely get the second one. I've started reading Stargirl by Jerry Spinelly. I know it's a short book, but since I started school I've had less time to read. I never read more than two books at a time, because I like to focus on only the characters in that story for that period of time. I also have the book How The Garcia Girls Lost Their Accent sitting in my room, so I'll get to that soon. TWW(s): I can definitely understand being too busy with school to be able to read. And I adore Stargirl! The sequel to Stargirl is one of my favorite books. Make sure to pick up Love, Stargirl when you're finished with the first one. TWW(s): Do you have a favorite moment/memory you've experienced as an iggle? Tell us about it! Diana: My favorite moment was honestly the first time I got a letter from my pen pal Kacie! It was actually a bright purple package, but it was so exciting! I couldn't wait to get to know her. TWW(s): What kind of geeky things do you love chatting to others about? For example, you and I have had a blast gushing over Twitter about various Pemberly Digital web series (LBD, EA, FMD, etc), but what else do you like to fangirl about with other geeks? Diana: I don't talk much, but when you mention something I like you will not get me to shut up! I'm a fan girl to the core! I love talking about Game of Thrones, Doctor Who, Teen World, Pretty Little Liars, practically any anime I may be watching (which is a lot now that I use my friend's Crunchyroll account). Harry Potter, I can always talk about Harry Potter! When can you not discuss Harry Potter? Video games especially Kingdom hearts, any Pokemon game, and I've discovered the awesomeness that is Phoenix Wright/Ace Attorney. Adventure Time I love talking about it! Books! Whatever book I'm reading I will discuss. Even if it's been years since I've read it you can bet I'll have a lot to say about it still. I could go on and on. 18 April 2014 "An awesome postcard from @kc1492 she shares my love for one of the best movies and books The Princess Bride!!!!!!" TWW(s): Look at the new Iggle Manifesto and tell us your favorite line from it, or which line you think you'd want to most apply to yourself, and then tell us why. Diana: The Iggle's Manifesto is currently the background on my iPad. I love it. My favorite line from the manifesto is "I will proudly be myself." I really like this line, because I think this is one of the main reasons I joined the IGGPPC. I wanted a place to be my normal geeky self. Taking those words to heart has really helped me be myself everywhere else, and be proud of who I am! TWW(s): When in your life did you start to self-identify as a geek? Diana: I started to self identify as a geek probably around the time I was 12. It was that awkward time between childhood and adolescence, so I think it was my way of finding an identity. I'd always been a geeky person, but it was around that time that I started to claim it. I don't regret it at all! TWW(s): Tell us about any pen pals you have! Want to get to know Diana? Find her on Twitter, Tumblr and Instagram! Wonderful interview, Kacie. So excited for this new series.